Synthetic opioids such as fentanyl have now surpassed heroin as the leading cause of drug overdose deaths. The National Center for Health Statistics, a division of the Centers for Disease Control and Prevention (CDC), estimates that drug overdoses killed 64,070 people in the United States last year. This constitutes a rise of 21% over the 52,898 drug overdose deaths recorded in 2015. These statistics, now posted on the CDC’s website, are the latest available on the crippling opioid crisis. 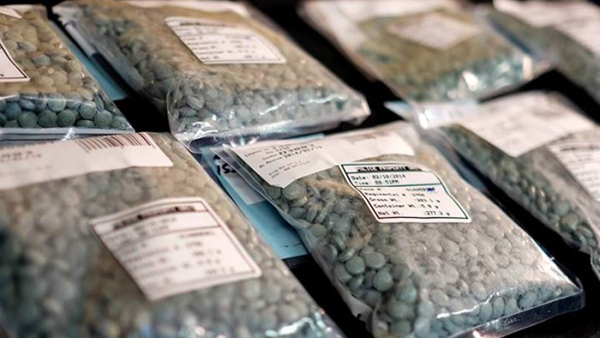 The CDC estimates that the significant rise in opioid-related fatalities can be attributed to the increased availability of dangerous drugs such as illegally manufactured fentanyl. It is estimated that more than half the overdose deaths in 2016 involved fentanyl, compared with 40 percent last year, and 20 percent in 2014. In 2015, roughly 9,500 people died from overdoses involving synthetic opioids other than methadone. Along with other synthetic opioids, fentanyl was linked to 20,145 deaths in 2016. Many times, these dangerous synthetic opioids are mixed into other drugs without the user’s knowledge. Synthetic opioid drugs such as fentanyl are 50 to 100 times more potent than morphine. These drugs were specifically designed for pain management during surgery or in end-of-life settings. In the United States, fentanyl is often made illegally and sold through illegal drug markets for their heroin-like effect. When taken accidentally or misused, they can depress normal functions such as breathing and heart rate, resulting in death. Fentanyl is so powerful that overdose-reversal drugs such as naloxone can be rendered ineffective. The CDC warns that multiple doses of naloxone may be required to revive a patient who has taken fentanyl. This is critically important for first responders as they grapple with the swelling rise of overdoses nationwide. The Drug Enforcement Agency (DEA) and the CDC released a nationwide alert and a public health advisory about large increases in fentanyl drug reports in 2015. This report highlighted deaths across multiple states in the Northeast, Midwest, and South. Recent national figures show striking regional differences in the rate of increase in overdose deaths related to fentanyl. Jurisdictions in Maryland, New York City, and Virginia recording significant increases. As a result, the CDC encouraged states to expand access to naloxone and training for administering naloxone to reduce opioid overdose deaths. “With continued increases in the heroin and synthetic opioid supply and deaths in the context of prescription opioid misuse, sustained, targeted, and multisectoral responses to the opioid overdose epidemic are needed,” states their recent report. This includes the need for education on opioid overdose and demonstrates the importance of linking those with substance use disorders to treatment. The CDC also noted that “changes in the supply and potency of illicit drug products can substantially contribute to increases in overdose deaths regardless of rates of opioid misuse.” It is clear that while these drugs will continue to increase the likelihood of overdose-related deaths, eliminating these synthetic opioids will not solve the nationwide addiction epidemic. It is estimated that only one in five people who currently need treatment for addiction receive adequate services. This public health issue continues to underscore the need for quality care capable of meeting the needs of those afflicted. It is imperative that we continue to acknowledge that substance misuse and addiction are solvable problems. Addiction is treatable. Recovery is possible. If you or a loved one is struggling with addiction to opioids please contact our admissions team at (844) 250-9228 to discuss the possibilities for recovery.